Description Jump into the endless space runner and race to pick up points and avoid hostile units. This 3D space flying game is packed with hours of fun. With different ships to choose from and scores you can challenge yourself to get the best score you can. Which space ship flyer will work best for you? Try all 3 and get the feel for them. What are you waiting for? 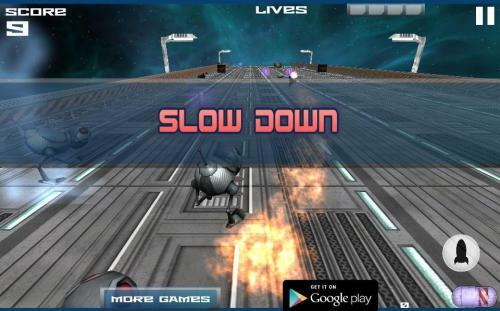 Get flying in 3D Space Racer!